Established in 2002, On Ensemble is one of the most respected ensembles in the taiko (Japanese drumming) world. 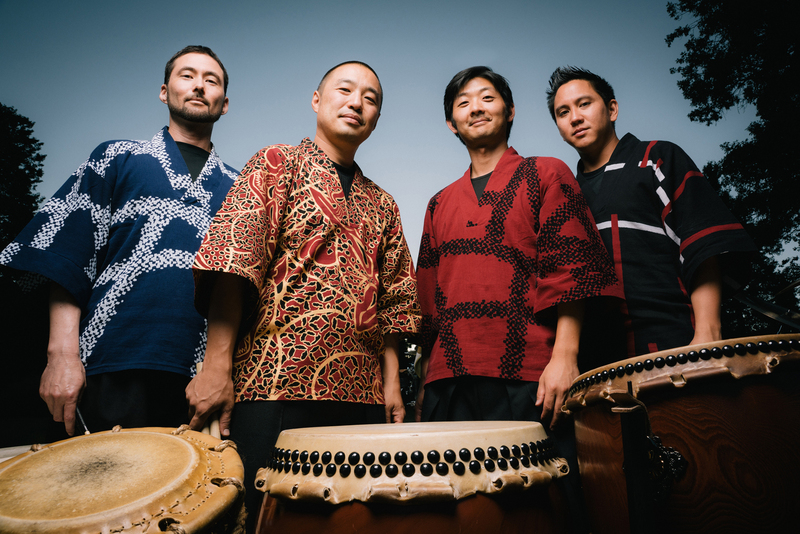 Led by childhood friends Shoji Kameda and Masato (Maz) Baba, On Ensemble is recognized for infusing the powerful rhythms of taiko with a wide range of musical influences from jazz and rock to Central Asian overtone singing. Their fearless musical exploration has expanded the artistic range of the taiko and has taken these ancient instruments into new realms. The group’s unique sound has been praised as “completely original and brilliantly conceived.” Modern Drummer magazine calls On Ensemble “an exciting taiko ensemble looking at new ways to apply traditional Japanese drums.” On Ensemble was the first American taiko group to be invited to perform at the National Theater of Japan for the prestigious Nihon no Taiko concert series. To purchase tickets to see On Ensemble live in concert at the UH Hilo Performing Arts Center, follow our purchase tickets link to the right. Single tickets for this performance will go on sale September 18, 2018.